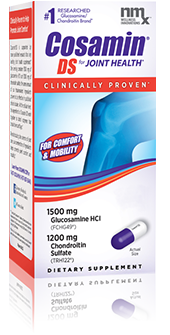 The most researched glucosamine chondroitin joint supplement, clinically proven to help promote joint comfort. 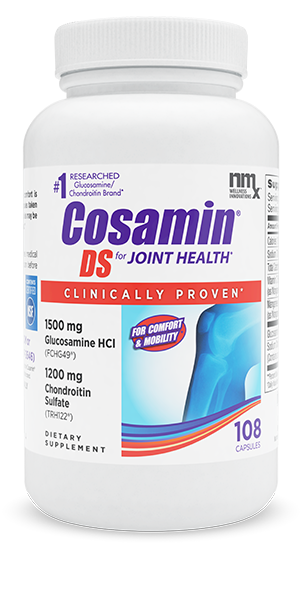 When it comes to your joints, there’s comfort in knowing that Cosamin® is proven by more research than any other leading joint supplement.1 Cosamin DS is proven to be effective in U.S. published clinical studies on joint health. At the cellular level, the ingredients in Cosamin DS work together to block enzymes that break down cartilage. 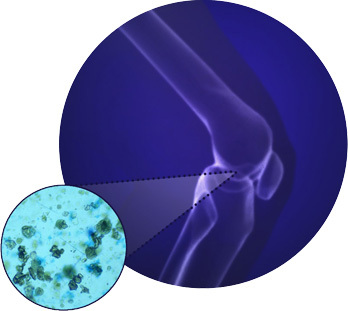 The combination of our glucosamine HCl and chondroitin sulfate has been shown in cell culture research to decrease levels of markers associated with cartilage breakdown and joint discomfort. Revolutionizing the science of joint care, the unique combination of 1500 mg glucosamine HCl and 1200 mg chondroitin sulfate found in Cosamin DS was invented over 20 years ago by pharmacist Dr. Bob Henderson. Since then, other joint supplement brands have tried to duplicate our formula, but have been unable to match the Cosamin quality. Cosamin DS has been rigorously tested for purity by both independent testing facilities and our own Quality Control, to meet our high standards and yours. Available in easy-to-swallow capsules or caplets. 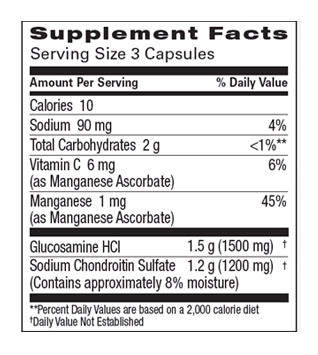 One serving of Cosamin DS contains 1500 mg (1.5g) of FCHG49® Glucosamine HCl and 1200 mg (1.2g) of TRH122® Chondroitin Sulfate.